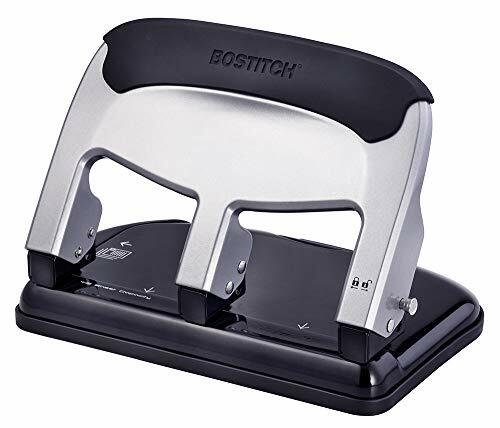 Compact, metal three-hole punch for long lasting durability and reliable performance durable all-metal design delivers superior performance while the precision steel punch heads cleanly punch through up to 12 sheets of paper. Rubber base pad provides stability and desktop protection during use. Easy clean chip tray for maintaining a clean work environment. Punches in standard 3-hole configuration with 9/32 diameter holes. Lifetime limited warranty. 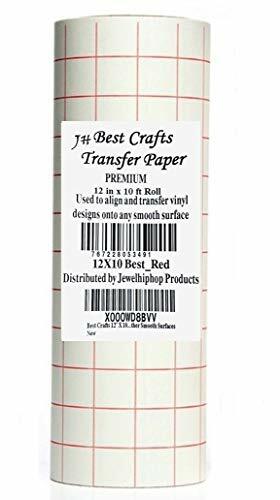 Brand: Bostitch Office | Manufacturer: Amax Inc.
BestCrafts 12 x 10 feet transfer paper tape is an ideal product that can handle your project most effectively with the superior quality materials used to manufacture this product. This was made in the USA to get your project done right, not a cheap imports that cannot transfer properly. It comes in a 10 FOOT LONG roll at a very reasonable price for economy, and with higher quality (USA made) than the competing cheap imported brands, so buy with confidence. This is 4 FEET MORE in lenght than regular brand. You get more for your bucks and gets more done with your projects. Give it a try and add to cart from the button above, we give 100% money back guarantee. 100% GUARANTEED: We encourage you to start using our transfer tape for your projects for best result guaranteed or your money back. Comfortably and easily slice through stacks of paper with 50% less effort using EZ Squeeze technology. 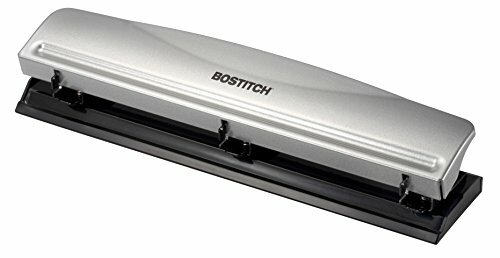 With an all-metal design and a wide handle for maximized comfort, confidently three-hole punch up to 40 sheets of paper with 50% less force than comparable punches. Ensure professional, consistent 3-hole placement using the built-in paper guide. The easy-to-clean chip tray maintains a tidy environment while the rubber base of the paper punch provides extra stability and protects your desktop during heavy use. With a versatile range of 1 sheet to 40 sheets, this punch works for light duty to heavy duty use. Great for work, school, or the home office. Standard three hole configuration with 9/32 diameter holes. Crafted on smooth paper, this premium cardstock from Darice s Core'dinations collection gives paper crafts a distinguished look with exceptional quality. 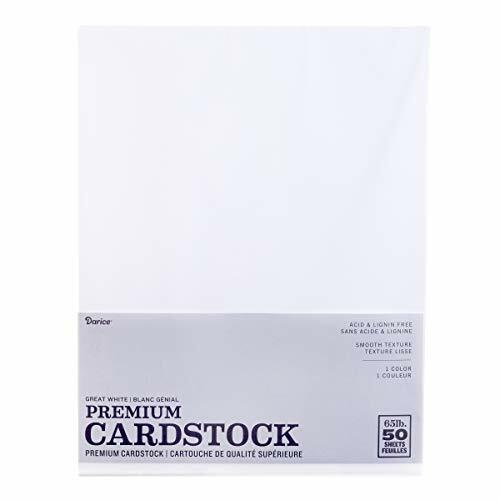 The Great White value pack features a single-color selection of classic, white cardstock in 8.5 by 11 inch size. 50 sheets per package. 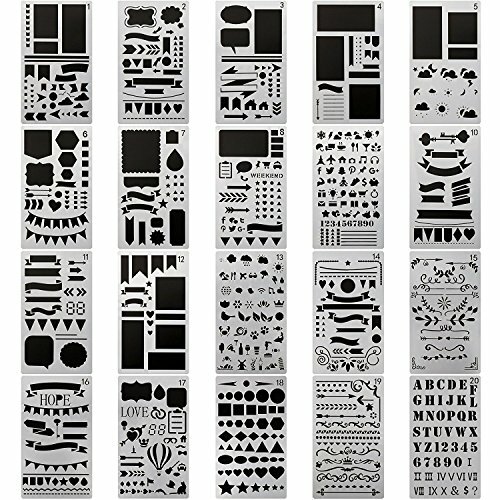 20 different high quality bullet journal stencil set consist of figures,geometry pattern,mathematical symbols,animal etc.Everything you could possibly want.Not only be used for a variety of paintings or diary graffiti,but also be used for learning. Inferior products are firmly rejected. 1) Translucent material,you can clearly see the painting pattern through the journal stencils template,so it is easy to draw the desired effect. 2) Large enough patterns,moderate hardness with creative bullet journaling stencils,no break and avoide scratch. 3) Great tool for bullet journal,scrapbooking,gift card,craft and school project,also can be bookmark your own diary,greeting cards,all kinds of hand-painted leaflets, etc. 4) Easily transform your boring journal pages into beautifully organized layouts with these bullet journaling stencil template.Make your diary,notebook,journal more funny. 5) Best Choice-Available for for most pen,such as point marker,ballpoint,brush pen,bullet pen,pencil ect,and fit inside of most A5 organizer and notebook. 6) Convenient for daily use,You can also attach your bullet stencil inside your journal. 7) Made of soft plastic material to ensure the inside and outside edges of journals stencils is not sharp,safety to you and your kids. 8) Reusable and washable bullet journal stencil,Great gift for your kids and your friends. This journal stencil plastic painting template is made of PET material,the product may have a little particles or burrs,is a normal phenomenon,does not affect the use,please use the blade or tweezers to clear out. NOTICE - DO NOT Place your order with SCAM SELLERs! Please NOTE that our trademark Direct is "CH HAICHENG",Pls ensure product sold by "haicheng". we can't promise you can get items by other seller or the quality the same as us. Fashion Desing: 20 different journal stencil are designed for you to create your perfect daily or personality graffiti. Stencil Material: Made of high quality Eco-friendly PET, Not only cleanable, but also flexible and sturdy,you can use them for a long time without worrying about it being broken. Suitable size: Every journal stencil size is 4 x 7 inches, suitable for most of A5 notebook and organizer, convenient for daily use, You can also attach your stencil inside your journal. Wide Use: You can decorate your own diary,journal,letters,schedule books,greeting cards,handmade family holiday cards and more with the journal stencil. Let your imagination take flight as you paint on the Arches Aquarelle watercolor pad. Use this cold press paper to create beautiful artwork with watercolors, gouache, and inks. Each sheet is painstakingly crafted from 100Percent cotton fibers, so it doesn't bleed or warp. To make these natural white, acid-free papers stable, they are designed on a classic cylinder mold. With natural gelatin used to size it, these one-pound sheets won't tear when scratched. 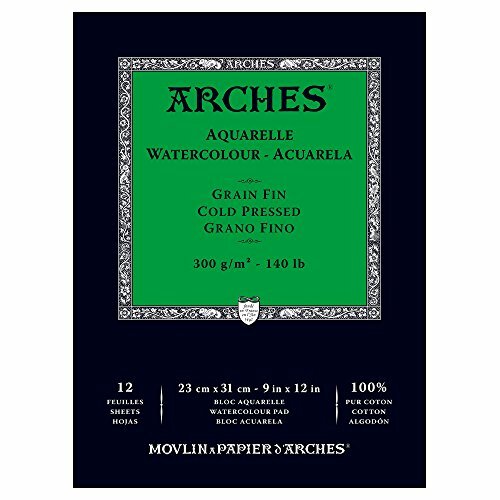 Your paints will retain their beautiful sheen on this Arches watercolor pad. 12 sheets9 in x 12 incontains alkaline reservewithout optical brightening agents (adheres to ISO 9706)fungicidal treatment to prevent mold buildup . The best living and artistic tool for your life. 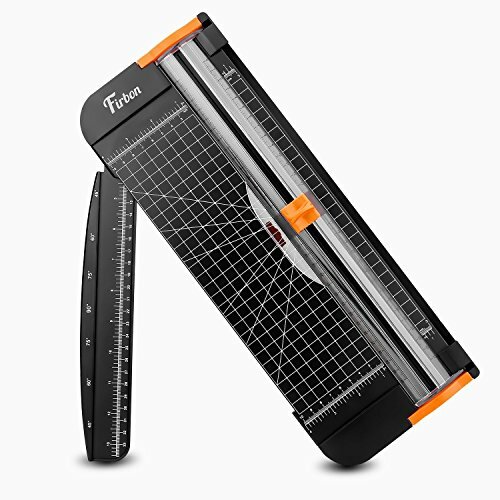 * Sleek, lightweight & portable, designed for cutting of A3, A4, A5 and B5 paper, photos, card and labels . * Capable of cutting a 45-degree to 90-degree angle. 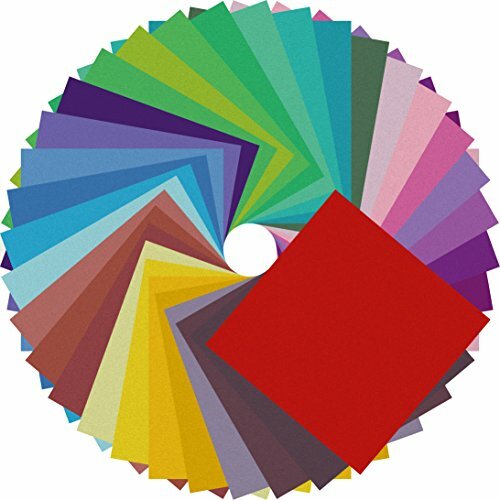 Max cut 12 sheets paper (80g/m2) , Perfect for mixed media projects! * Plastic cutting surface improves scale visibility for accurate measurements. Black cushion prevents movement when the paper knife is operated. * No touch safety design protects fingers away from any dangerous operation. 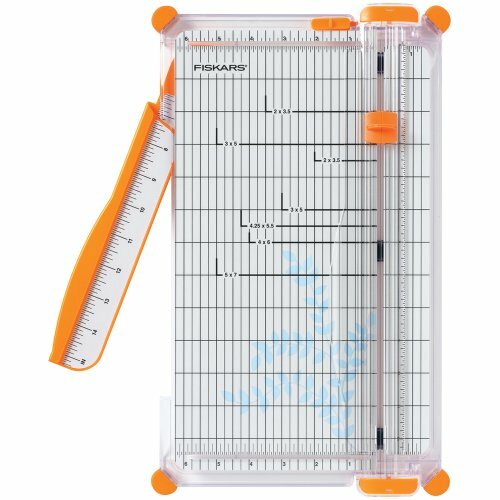 * We will upload more Art, Garden and Kitchen poducts including Notebook, Album, Paper cutter, brush pen, drill bit, saw kit, grill glove and knife stone. 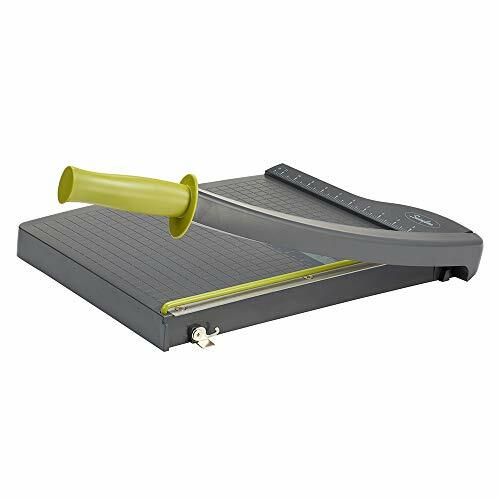 Professional Guillotine: Present the clean straight cutting along printed line. No drag! And easy to replace the blade when it become blunt. Size and Materials: Design to cut A3,A4,A5 Paper, Photos, Cards, Laminated Stuff (within 1.5mm) and more. Max cut 12 sheets paper (80g/m2) every time. Cut a little lesser prolongs blades' service life better. Accurate Measurement: With 45-degree to 90-degree angle measuring plate and cm/inch scale. Ensure to trim the angle and length you wanted. Portable and Safe: This cutter is lightweight and convenience. Only work when you press the blade, perfectly protect user especially children. Versatile Making: Your ideal cutting tool for making craft projects, wedding invitation cards and greating card. Suit for home, office, and school. Serious artists will appreciate these generously sized 9 x 12 wire-bound pads of professional-quality paper. Its thickness and texture make it ideal for charcoals as well as pencils, crayons, and markers. Two drawing exercises are included to get young artists started. 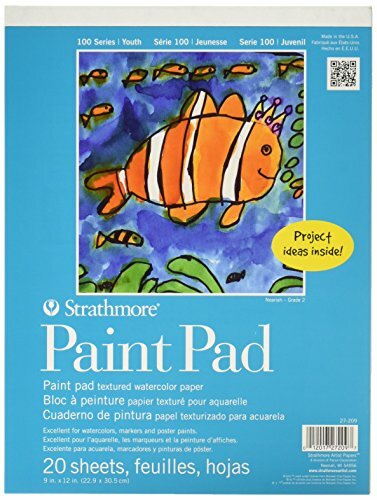 Our children s art pads are made of high-quality fade-resistant, acid-free white paper. The durable paper is exceptional for pencils, charcoals, markers, and crayons. These spiral-bound art pads include step-by-step instructions for drawing a face and a horse that are easy for younger kids to understand. 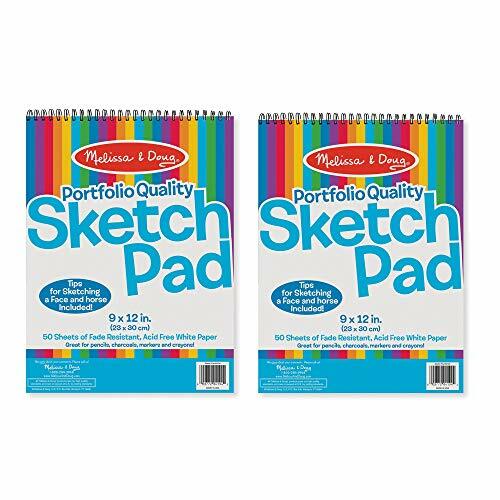 The Melissa & Doug Sketch Pad 2-Pack for kids is a high-quality art supply that helps kids explore their creativity. Maintaining an ample supply of paper gives kids a convenient option for screen-free fun. SPIRAL-BOUND SKETCHPAD: The Melissa & Doug Sketch Pad 2-Pack features two 50-page spiral-bound full-size sketchpads measuring 9" x 12" that's designed for the young artist on the go. HIGH-QUALITY PAPER: Our kids' art pads are made of portfolio-quality fade-resistant, acid-free white paper. Their durable paper is exceptional for pencils, charcoals, markers, and crayons. ADDED DRAWING INSTRUCTIONS: This coloring pad 2-pack for kids includes step-by-step instructions for drawing a face and a horse that are easy for younger kids to understand. KEEPS KIDS ENTERTAINED: The Melissa & Doug Sketch Pad 2-Pack for kids is a high-quality art supply that helps kids explore their creativity. Maintaining an ample supply of sketch paper gives kids a convenient option for screen-free fun. 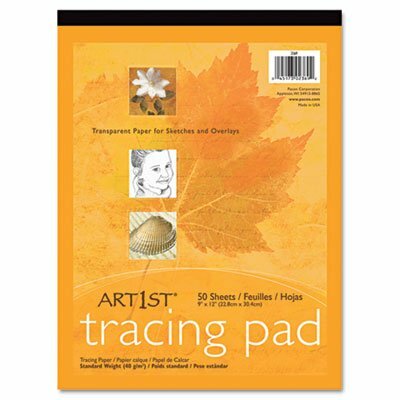 Tracing pad contains standard-grade transparent paper. 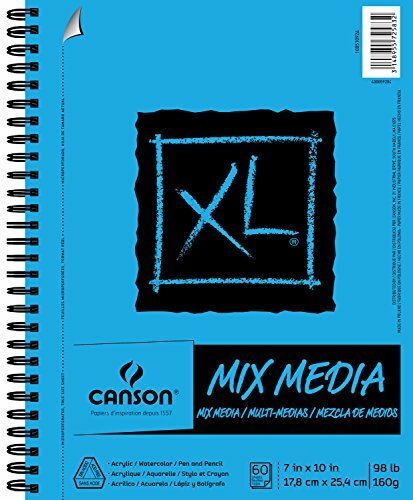 Use with pencils, pens, markers, charcoal and pastels for sketches and overlays. Recyclable paper is bleedproof. Brand: PACON | Manufacturer: Pacon Corp.
Strathmore kids series textured watercolor paper. Perfect for watercolors, markers, poster paints. Tape bound on top. 20 sheets per pad. This item is manufactured in United States. Designed by artists for artists. 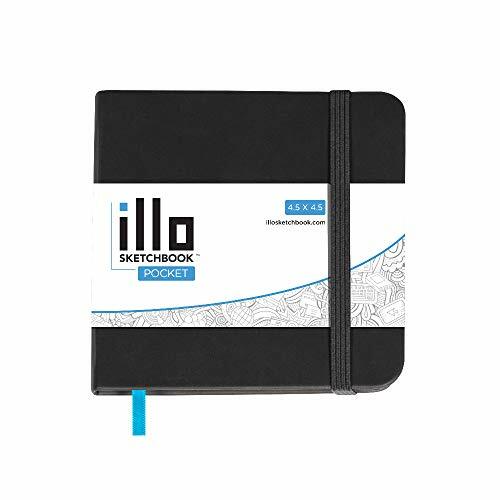 illo Pocket Sketchbooks are 4.5x4.5 in creating a square drawing surface perfect for any artist at any skill level. Take your drawings from paper to social media easily without the awkward cropping. Gray hard cover/ 112 pages / 122lb, 180 gsm paper / elastic enclosure/ stylish ribbon marker / back page pocket, layflat design. This sketchbook works well with all mediums. Perfect for dry mediums. Water based media should be used lightly. PERFECT SQUARE - Square dimensions for easier sharing on social media without the awkward cropping. 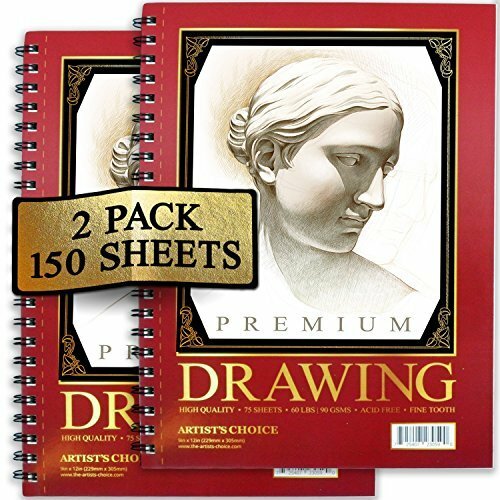 FAIR PRICE - illo sketchbooks are made with high-quality materials but still easy on your wallet. POCKET SIZE - The illo pocket will fit inside most pockets so you can take it with you on the go.